The SparkGate-7 is an open IoT gateway that is ready to integrate in your product cutting new product introduction time. 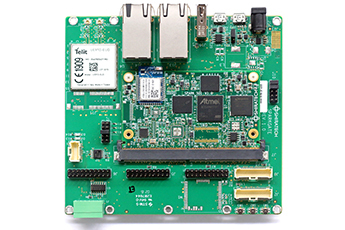 The SparkGate-7 is completely modular to fit your IoT application. 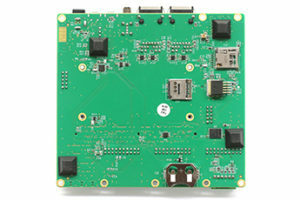 Chose the optimal SOM, select a Cellular modem and radio and then add your own expansion modules. 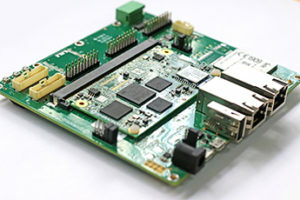 The SparkGate offers an open IOT gateway platform with a large variety of interfaces both wire and wireless for both local connectivity. When equipped with the Spark 501 the SparkGate offers a ready to use IOT Gateway platform. SMARC’s 314 pins connector for SOM Modules. Up to Two Giga Ethernet interfaces. One USB OTG and one USB Host interfaces. USB to RS-232 convertor for UART over USB emulation. Capacitive (I2C) and resistive (4-Wire) touch screen support. Two lanes CSI interface (Camera). On board Cellular modem either 2G, 3G or 4G (Telit, Assembly option). Optional Mini-PCIe connector supporting USB modules. © All rights reserved to Shiratech Solutions Ltd.